My City Me Social Community has everything you need to connect with your audience and your audience to connect with you. Online visibility is good. It means more customers, more business and more profits. My City Me Social Community provides a great platform to get your business noticed. Services include: Creating your online presence, launch online ads, get listed, S.E.O. and community search. My City Me Social Community is an Entity of My City Me. Good stories have compelling voices and My City Me Social Community allows you to share your story. Expand your voice by building a Business promo page that can be designed or customized to your liking; SEO- mobile-friendly with complete and accurate online listings, and with your professionally produced commercial videos on display. Create a promo webpage that tell your story on My City Me Social Community. Storytelling and marketing go hand-in-hand. Human-to-human connections are the heart and soul of your business. At the end of the day, you’re dealing with people and you only have seconds to persuade someone that you’re Brand is It. We turn your Ads into leads. So you can engage to re-engage your brand cross our community. Display ads appear across My City Me Social Community Profile web pages. So, your ad can appear wherever your audience is within My City Me Social Community. Your Display ad is also known as a Banner Ad. Your banner image is a 600x100 size banner display ad. Viewers can click on your display banner which will direct them to your landing page with relevant content about your brand or company. The cost of the Display AD Campaign is based on an hourly display time rate of $5.00. 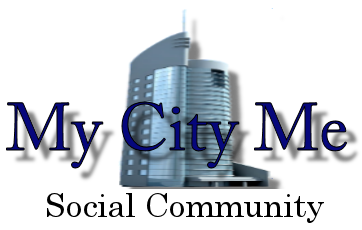 The My City Me Search Engine is a web-based tool that enables users to locate information across the My City Me Social Community. My City Me Search engines only “sees” site title, site description, site key words and the text place on your web pages using the underlying HTML structure to determine relevance. Web pages build with cascading style sheets. Cascading Style Sheets is a complex mechanism for adding styles to website pages above and beyond regular HTML. If the terms you want to be found by do not appear in the text of your website, it will be very difficult for your website to yield high placement in our Community search engines. The cost to be listed into My City Me Search Engine is a one time price fee of $4.99.